Determine this week to not be driven by circumstances, by emotions or even by well-meaning people. What we see is undoubtedly real, painful and difficult at times or it can be prosperous, exciting and easy too. Relying though on our either set of these to determine how we approach the day can be unhelpful. Perhaps we can become confused about Gods whereabouts in the midst of all that is happening or we as things are going well, we drift towards being more self-sufficient than we should. Sight is important but as believers we are encouraged to not walk by sight but by faith [2 Corinthians 7:7]. This doesn’t mean we ignore all which is happening around us hoping it will go away or walk around with our eyes shut. It means we learn to see beyond our current position. To see not only with natural eyes but with spiritual eyes. The eyes of faith. Trusting confidently in our God who said He would never leave us. In our God who promised He could work out all things for the good of those who loved Him and were called according to His purpose. Learn to walk by faith. Learn to walk by faith in all things. Learn to walk by faith in all things, good or bad. Learn to walk by faith in all things, good or bad, to maintain a strong healthy walk with God. 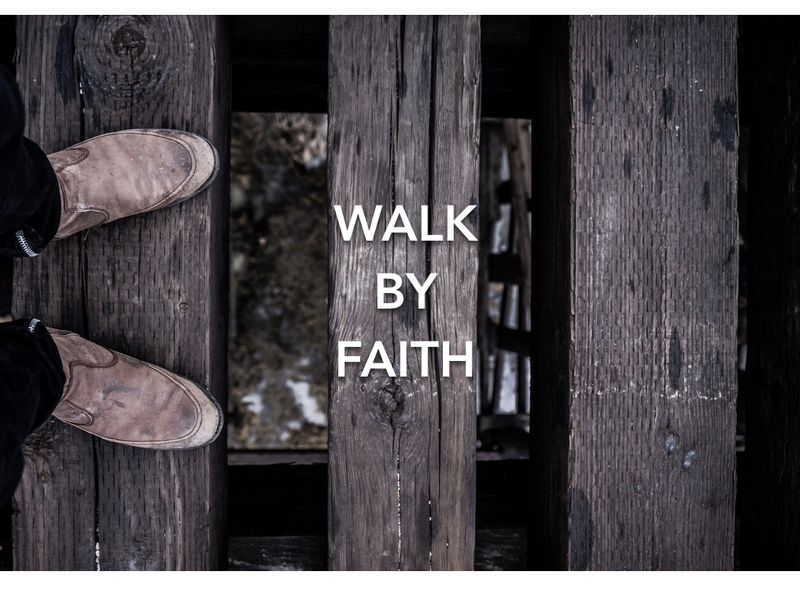 How do we learn to walk by faith? Practice. This week, be deliberate in choosing the path of faith and keep on walking, one step at a time. When you feel like giving up, instruct yourself to stay in faith. Remember, God is faithful and He is with you, whatever is going on right now. What do you need to walk by faith in right now? Pray for a confidence in God, to keep walking and to stay close to Him.